Buying too much RV – Do not assume that the salesperson knows what he is talking about in regards to the towing capabilities of your vehicle. Check the total combined weight of occupants and cargo limit listed on the inside of your door and consider ALL of the weight of everything in both the vehicle and the trailer. 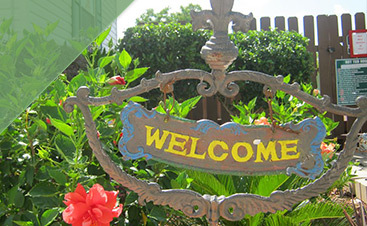 Not checking your water tanks – Water weighs a lot: 8.3 pounds per gallon to be exact. Towing all that water weight around can be worse than any woman has ever complained about. Make sure those tanks are empty if not needed. 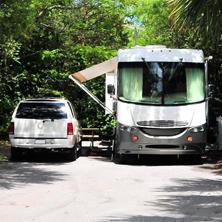 Driving off while still connected – One of the most repeated mistakes is leaving the campground while still connected to the water/sewer/power supplies. Do a complete walk-around and check that you are unconnected. Then check again. Forgetting about the door handle and steps – Try and remember to bring those in before getting on the road. Neglecting to put blocks behind your wheels – RV’s roll. They roll surprisingly easily. Make sure to avoid having yours move on its own by placing blocks behind every wheel. Other lessons will be learned as you get more road miles under your belt. Make sure to keep a checklist with you and add to it as you learn other mistakes to avoid. 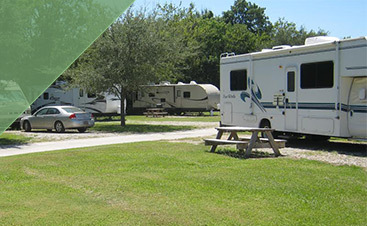 At Frog City RV Park we understand and cater to the needs of both the newbie and veteran RV enthusiast. 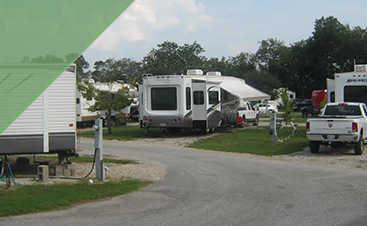 We welcome you and your family to our RV park in Lafayette, LA and look forward to extending our special brand of Cajun hospitality to all of the guests at our campground.